Cheers to a healthy Derby season! 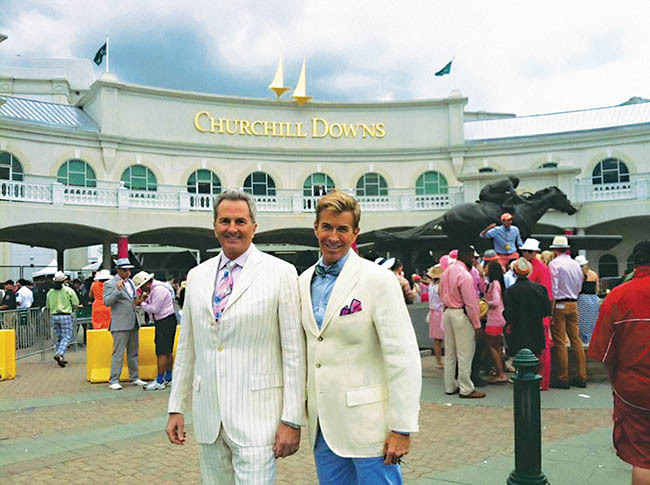 Read up on Jeff Howard's Tips for Staying Well from Seasoned Derby Pros to get fit for the races and maintain a healthy balance for the big weekend! 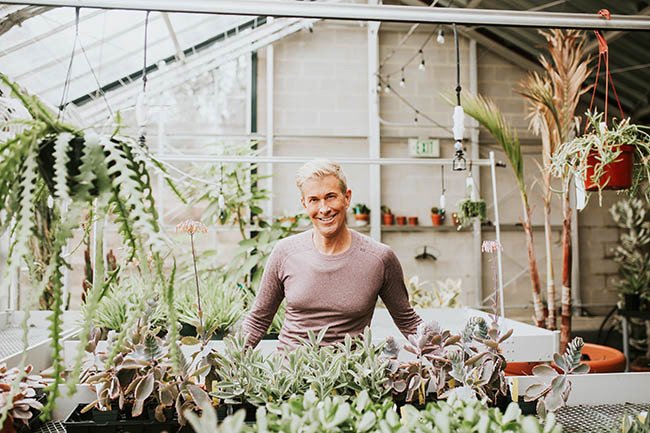 Learn about Jeff Howard's Spring Training Tips for 2019 and get fit for all the warm weather gardening ahead! 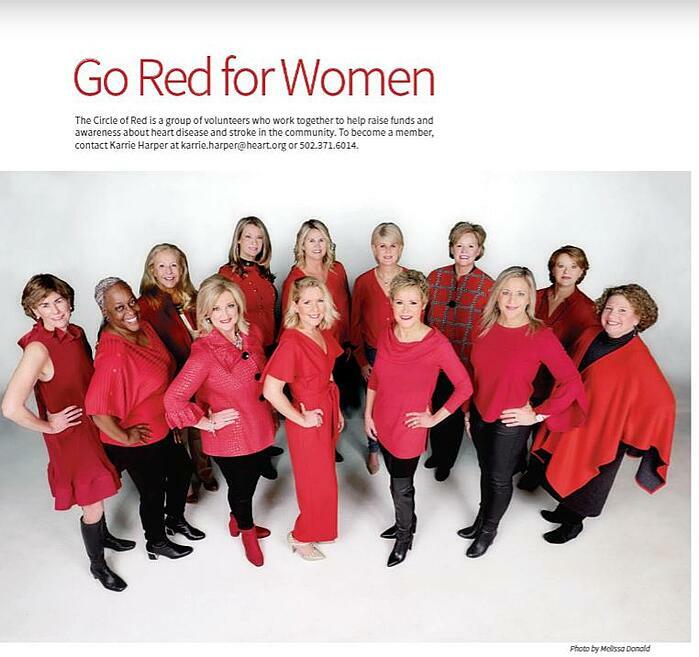 Go Red for Women with our very own Stephanie Tisone in the February edition of Today's Woman Magazine! We have many Members and Staff represented in January's edition of Today's Woman Magazine! Setting New Year's Goals - Read Jeff's article here. The Season of Weight Gain Tips & Partner Exercises with Milestone Personal Trainers Kenny & Misty Hodges. 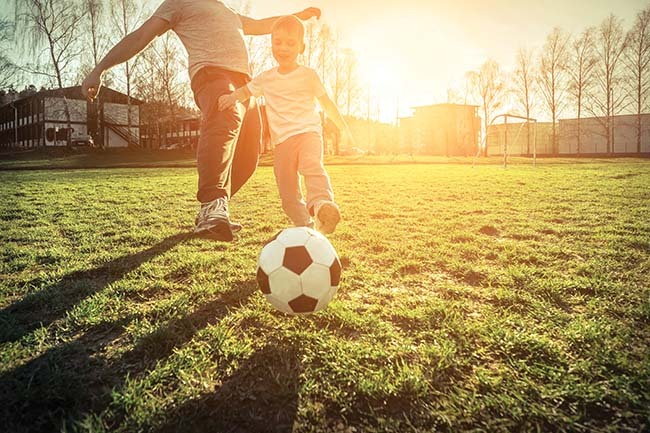 Back-to-School Means Back to Fitness! To read Jeff's article click here. Milestone group exercise instructor Jeff Howard was featured in the Voice-Tribune sharing great prenatal fitness tips alongside 27-week pregnant Carson Lawrence. Read the article here. 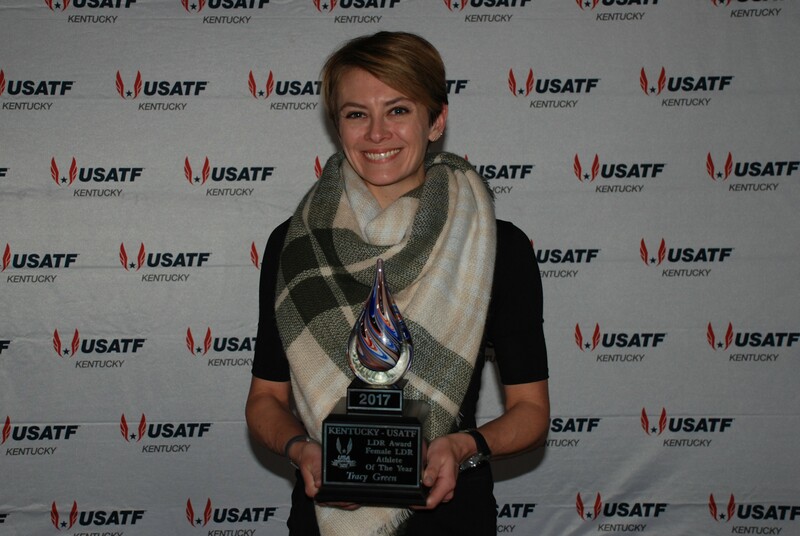 The Kentucky USA Track and Field chapter awarded Baptist Health/Milestone Wellness Center Pilates Instructor Tracy Green with its female Long Distance Runner of the Year award for 2017. The awards committee cited Green's successes over the course of the year including a 9th place female finish and new personal best of 1:25:53 at the Kentucky Derby Festival miniMarathon in April and 94th female overall at the Chicago Marathon in 2:59:26 and numerous local road race top finishes. She was presented the award Jan. 6 in Lexington. Tracy Green has been a Pilates instructor at Milestone for 2 years and has mat classes at 6 p.m. Wednesdays and 5:30 p.m. Thursdays. Milestone marketing & social media coordinator Monica Resch was featured in TOPS Louisville magazine sharing her tips for fitness during pregnancy! Milestone membership advisor Daryl Lewis was featured in Louisville Bride magazine with his wife, highlighting their beautiful wedding. Holiday 2017 baking e-book is published! Milestone personal trainer Lauren Higgins published this great Holiday 2017 Baking eBook! Enjoy!!! Milestone personal trainer Alison Cardoza was featured in Today's Woman sharing her fitness goals and tips! 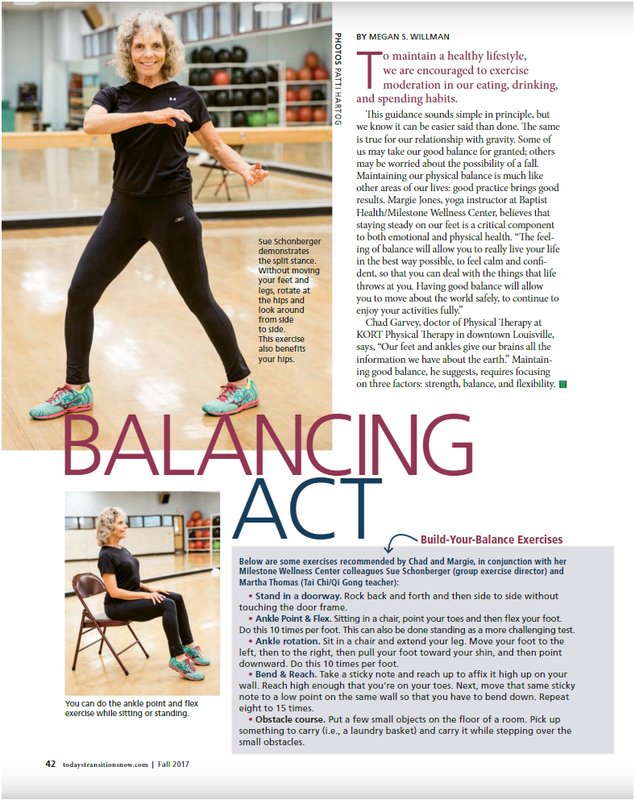 Milestone Group Fitness Director Sue Schonberger was featured in Today's Transitions, sharing her personal fitness tips on balance. Milestone Personal Trainer Alison Cardoza was featured in Today's Woman, sharing her personal fitness tips and how exercise has benefitted her life all-around. 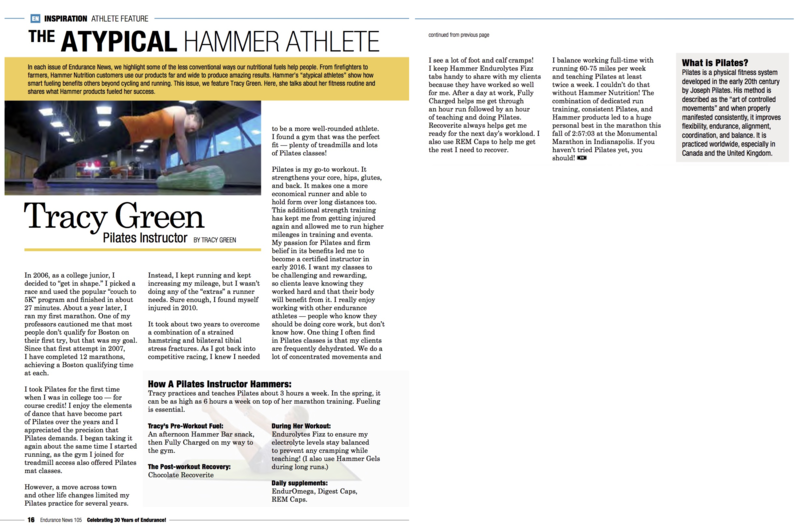 Milestone Pilates Instructor Tracy Green was featured in Endurance News, sharing how she began incorporating Pilates into her fitness program to complement competitive running. Come take classes with Tracy at Milestone! 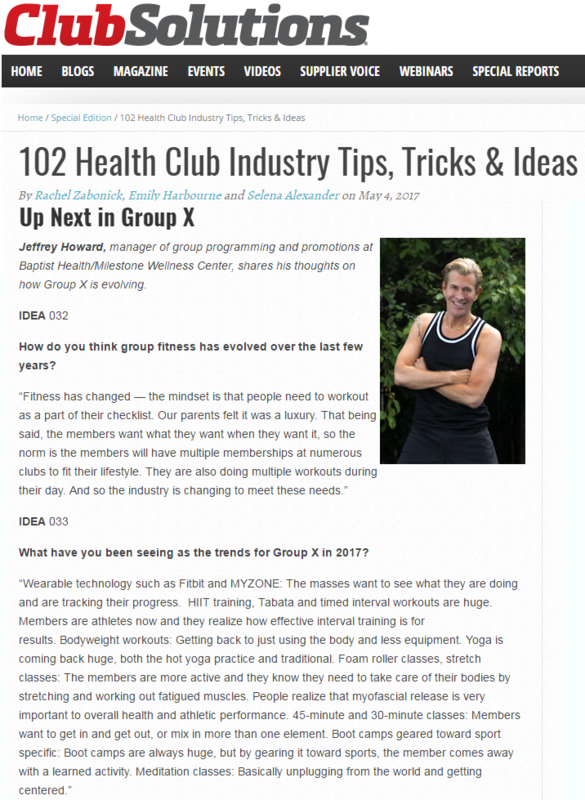 Milestone Staff Member Jeff Howard was featured in Club Solutions Magazine, sharing his expertise on group fitness trends. Come take classes with Jeff at Milestone! Milestone Member Anna Showalter represented healthy living at the age of 78 in her feature in Louisville Magazine's "Fit" Edition! Anna said that people tell her she looks young for her age, and she attributes that to her exercise program at Milestone! Our Milestone staff had fun putting together a quick Fitness Q & A for the Voice-Tribune magazine. Pick up your copy for FREE in the press area near the side parking lot entrance of Milestone, or visit our Blog to see the full story! Milestone has offered the HMR Program for 16 years and was named the Best Weight Loss Clinic in Louisville by Today’s Woman magazine in January of 2016. “HMR’s highly structured diet and lifestyle change program is designed to help people lose weight quickly while learning the skills they need to keep it off,” said Chuck Bent, Program Director. “Fast weight loss without lifestyle change isn’t sustainable. Through the HMR Program at Baptist/Health Milestone, people learn realistic ways to incorporate new healthy behaviors into their everyday lives.” HMR programs excel at providing the jump start many people need when beginning a healthier lifestyle program. People can lose weight without feeling hungry. Fast weight loss is achieved in a livable way, by encouraging people to eat more and stay satisfied, making it easier to stick to the program in both the short- and long-term. 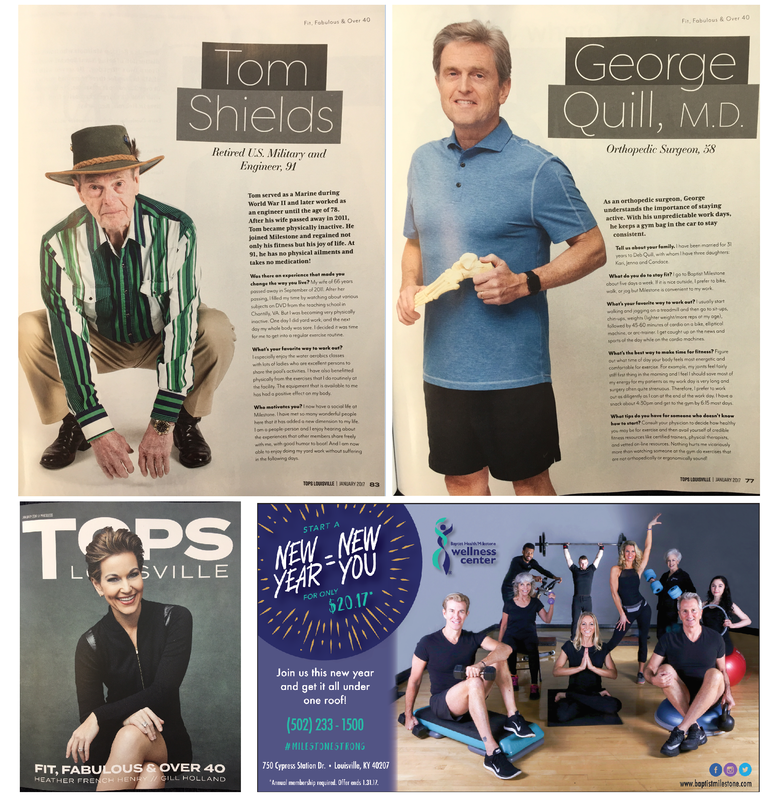 We are excited to announce that the January 2017 edition of "TOPS Louisville" magazine features Milestone members Tom Shields and Dr. George Quill in the “Fit & Over 40” section. They are so inspiring and we are honored to have them as part of the Milestone family. 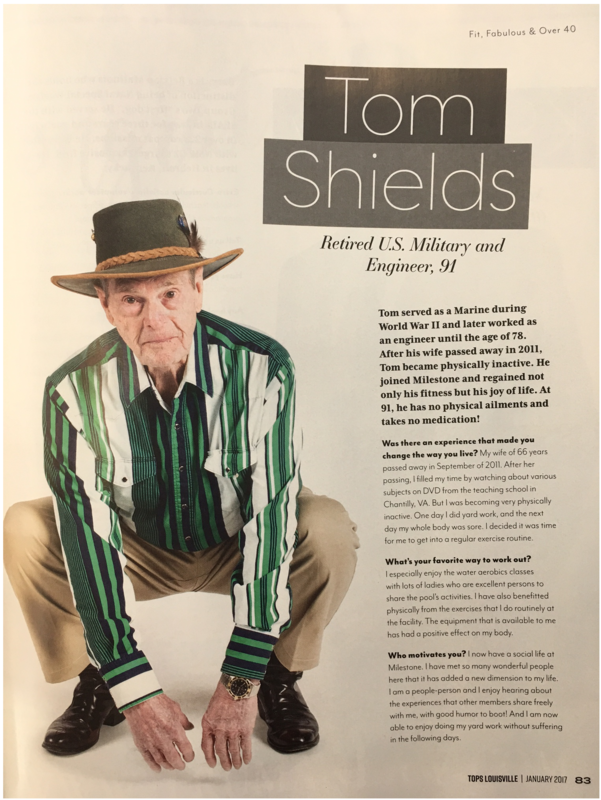 You might also recognize the familiar faces of Milestone Staff members on the page opposite Tom Shield’s article. Pick up your copy for FREE in the Milestone lobby! Milestone President, Diane Kelton, was featured on the cover of Club Solutions magazine December 2016 edition. Club Solutions is dedicated to searching the country for the best management and facilities in the fitness industry. Diane was highlighted for her culture-shaping success. Milestone was recognized as a place where people can come from any walk of life and get the resources and support they need to realize their ideal healthy self. 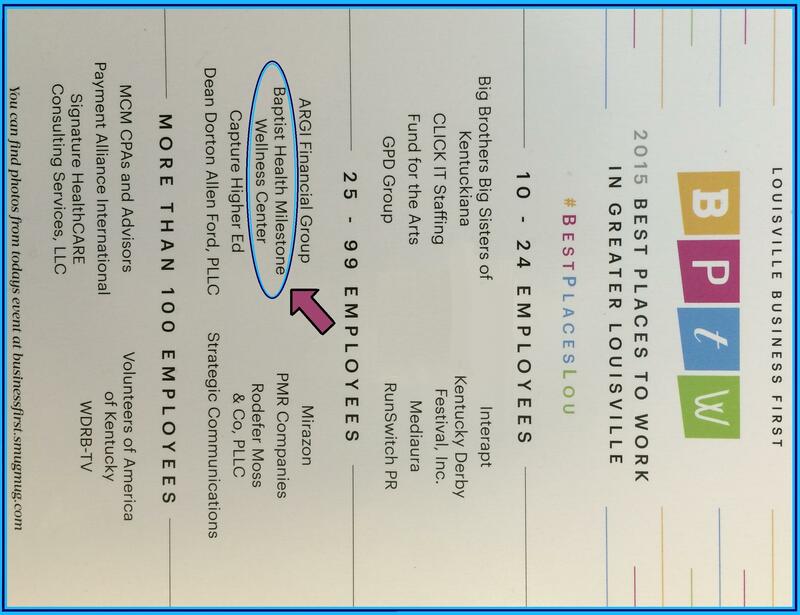 From a safe and friendly environment to great benefits, Milestone won the Louisville Business First "Best Place to Work" in the 25-99 full time employees category. 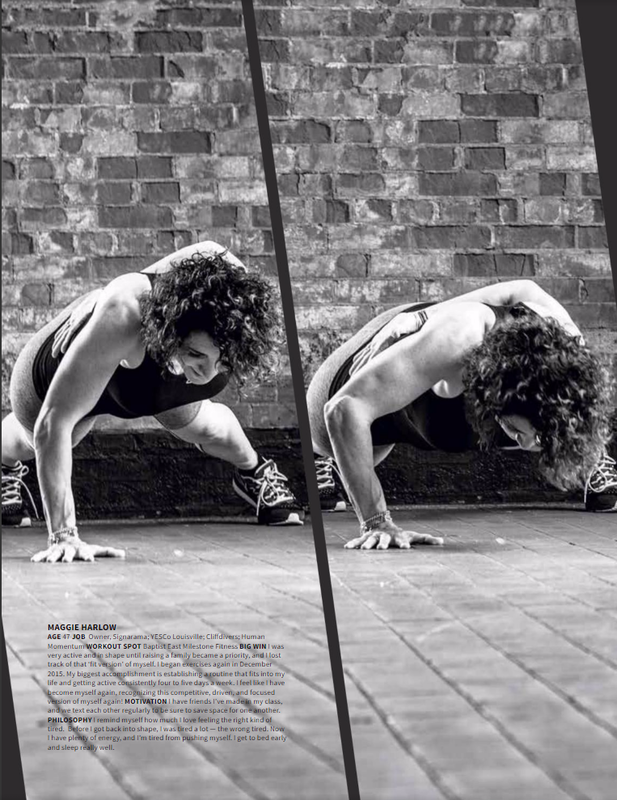 milestone personal trainer in various publications! 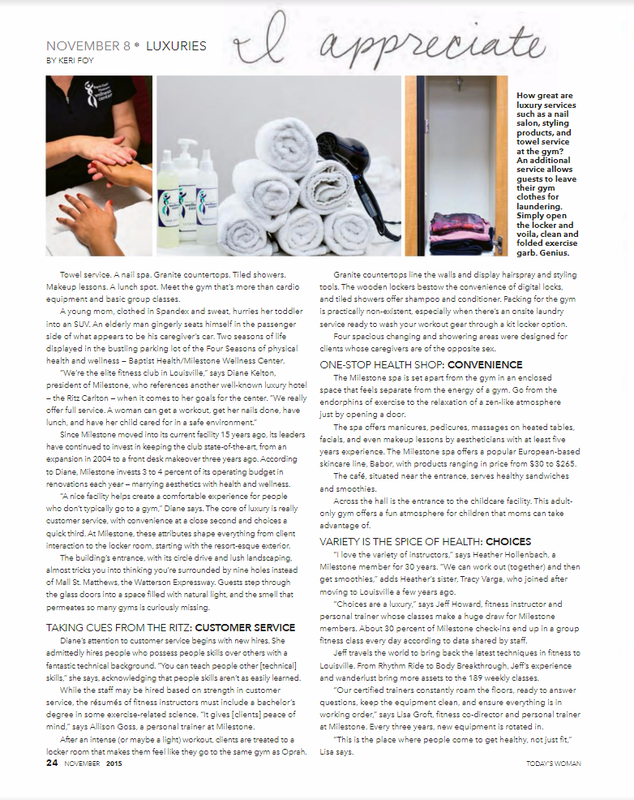 Milestone personal trainer Alison Cardoza has been highlighted in a variety of recent publications! 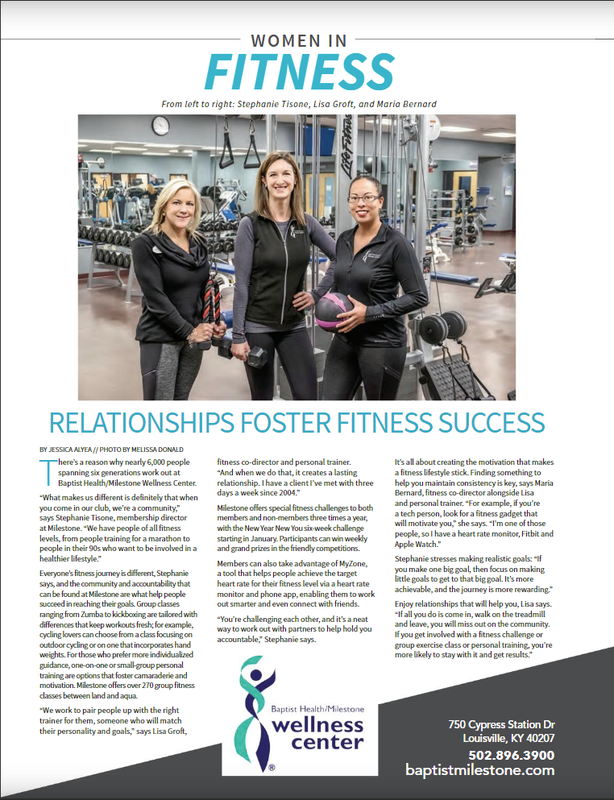 Club Insider dives into the current climate of the fitness industry and speaks on how Milestone is fairing the storm of new challenges and staying on the cutting edge of the industry. Today's Woman highlights Milestone in their "Luxury" secion in November 2015. 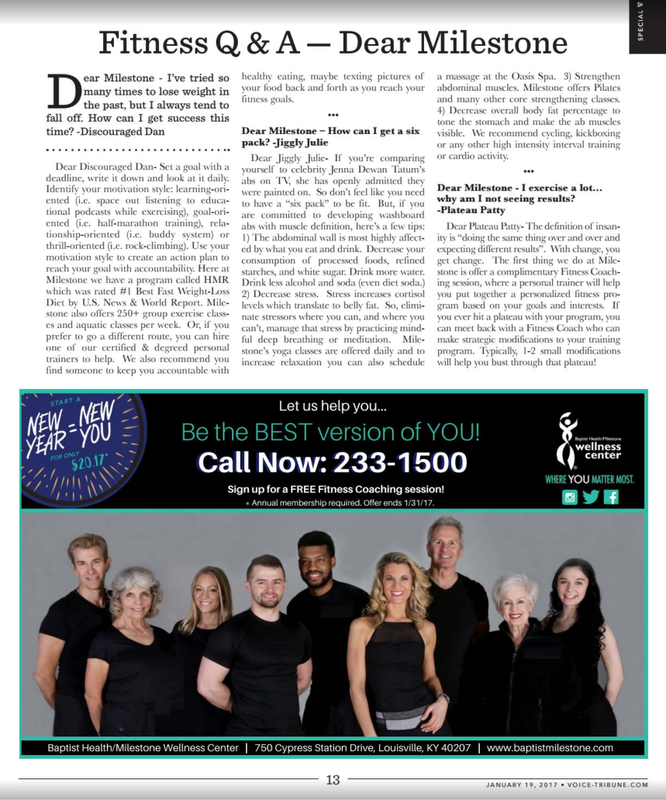 They also did a feature on Milestone President Diane Kelton online in November 2015. 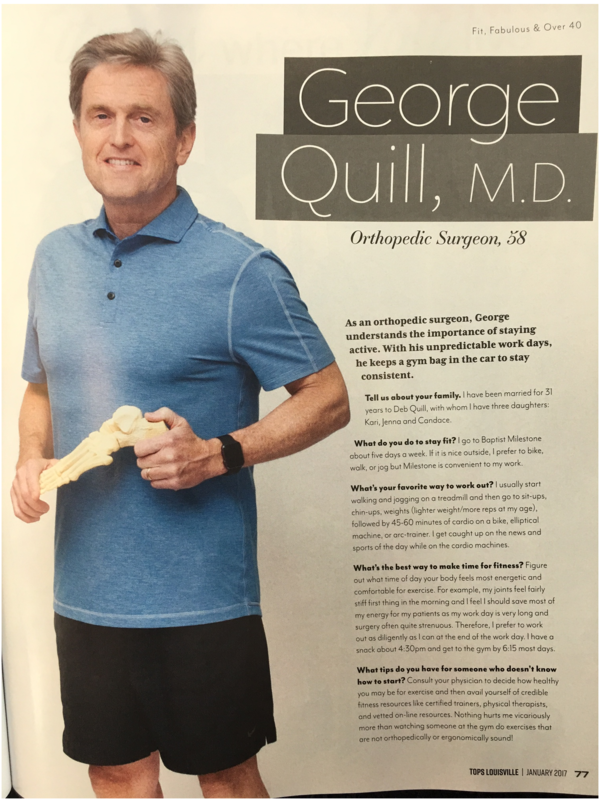 Three Milestone Members were featured in the Today's Woman "Best Bodies" issue in August 2016. Milestone is mentioned in many other features for winning awards by reader-vote-rankings for best fitness and weight loss facility in Louisville. We are excited to have so many mentions in multiple issues! Milestone has won the "Best of Louisville" People's Choice award for best fitness center in Louisville 3 times!